Free online fashion games for kids are just one of the ways your child can have fun with fashion design. 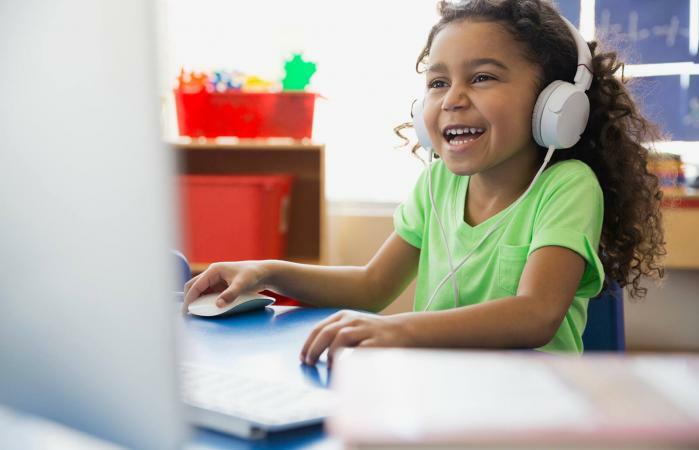 Whether your child is a budding designer or simply loves playing online games, these sites will certainly encourage creativity in your little fashionista. Do you imagine your wedding day? Poki.com offers an array of different dress-up and fashion games for budding fashionistas. Designed for kids 9-12, Shopaholic Wedding Models lets you try on new gowns, attend new events and get messages about dress codes. Starting the game, you can pick from 3 different brides and their name, age, and sign. After that, you can start dressing up your model. 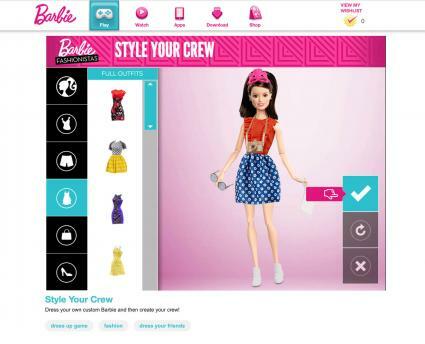 For those Barbie girls out there, Barbie offers a fun fashionista styling game. This game allows you to pick from 20 different barbies of all different styles and races. Once you choose your girl, you get to create her look from the ground up. This includes tops, bottoms, dress, shoes, and even accessories. Great for children from 6 to 10, Barbie Fashionista can really allow kids to get their creativity grooving. On Disney LOL, you can find an assortment of fashion games for all different age groups. Younger kids might enjoy the Dress Up Cinderella or Ariel. Older fashion fanatics might enjoy Fashion Studio, Girl Meets World and Jessie Smart Culture and Kim Possible Shopping Avenger. These games let you dress up and style all your most favorite Disney characters. Designed for older kids from 9 to 12, this fashionista game will allow you to dress up some of your favorite celebrities like Kim K. You can also design a wardrobe for the frozen sisters and even your favorite mermaid. In these games, you can use a number of different trending outfits, wigs, and accessories. Kids 10-12 might enjoy this fun dress up and fashion games where you can dress-up modern princesses, villains and even design your own shoes. These games have more than just dressing up; there is also a storyline and fun dialogue. For instance, in Frozen Sisters Summer, you can find different sunglasses, floaties, and swimsuits for Elsa. In addition to Disney Rivalry, kids 10 and older can play different fashion games that are tailored to manga, Ellie and Brats. These games cover not only dress-up but shopping and runway fashion. Whether you are duking it out on the runway or trying to find the perfect outfit, these games can make even the newest fashion-forward kids smile in delight. Looking for a fashion game that is edgier or goes beyond princesses, 11-13-year-old kids might like Doll Divine. This game allows you to create emo, post-apocalyptic and witchy designs. You can also deck out your run-of-the-mill hipster. Beach and prom looks are also available. Lady Popular offers a multi-player game for you to play online with other supermodels and glamorous individuals. Not only can you design the look of your supermodel including hair, skin, makeup and accessories, but you can design your lifestyle too. Whether you want a beach bungalow or a city penthouse, find your perfect life. Tweens can also customize their boyfriend too. Before you give your kids free reign on the computer, remember to use caution with any site you or they access. There are several safe sites for you to check out, but you still need to read the fine print. While some sites may boast that their games are free, be sure and pay attention to any hidden fees that might be associated with the use of the site. You may also be able to access only a portion of the game until you register or pay for full membership. Caution kids to never give out personal information. Some sites offer chat rooms or message boards, and kids should never give out their names, addresses, cities, or any other identifying information, no matter how innocent. If you notice anything suspicious, such as someone trying to contact your child, be sure you notify the website immediately. Don't give out your credit card information unless you are absolutely sure the site is secure. Remember, there are plenty of free online fashion games for kids out there, so don't pay for something when you can get it for free! While some free fashion games for kids need minor computer system requirements, others may need a bit more. The system requirements you might need to play these games could include one or more of the following. Be sure you check with the site. Sites will typically list system requirements and any downloads that are necessary. For your little fashion forward boy or girl, there are perfect online games that fill their need to dressing up their favorite princess or manga characters. Some fashion sites also let you design your digs as well. Now try out these safe online games and find your favorite.